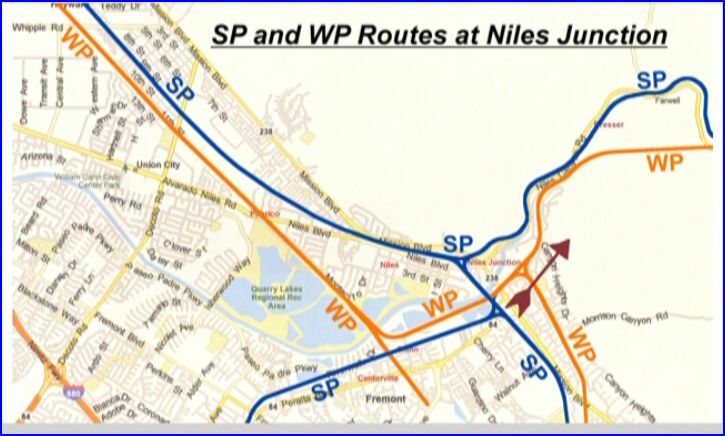 Niles Canyon is presented in a ‘then and now ‘ format. Located west of San Francisco, California. 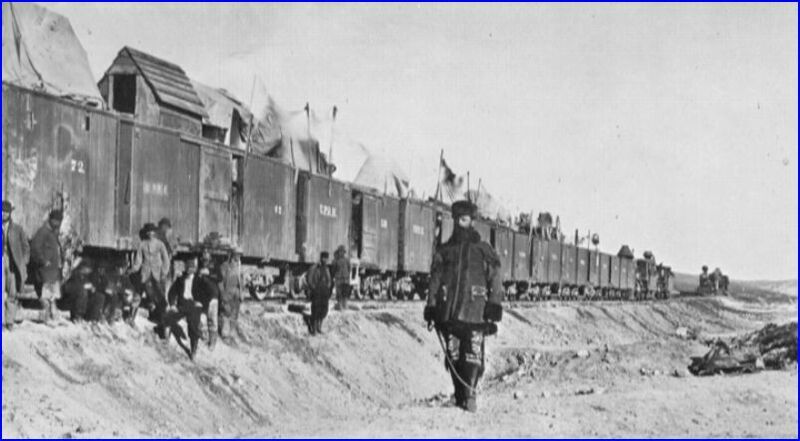 Both Southern Pacific and Western Pacific had tracks through the canyon. SP abandoned their line. 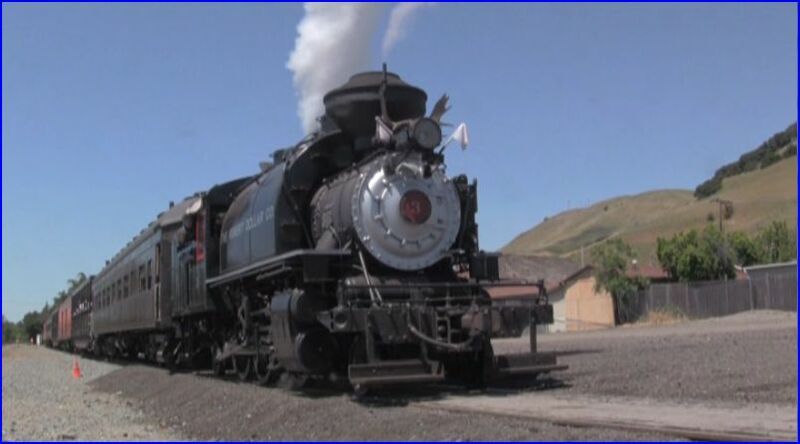 Pacific Locomotive Association operates a museum and vintage equipment on the now restored trackage. 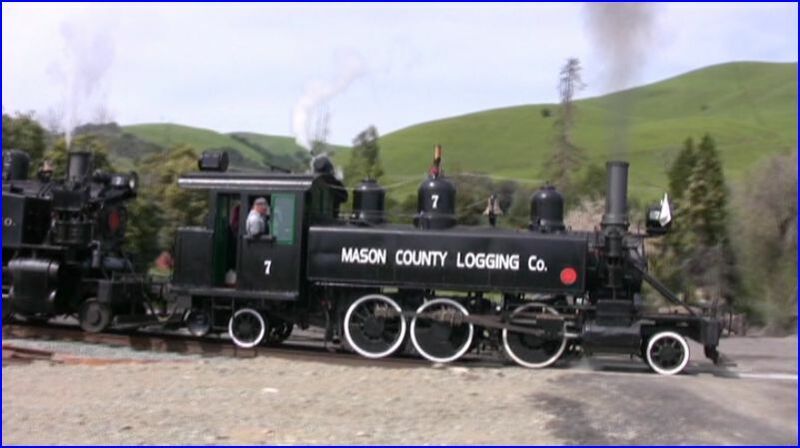 Known as, Niles Canyon Railway, the remainder of the show will focus on modern operations. The historical films are from the Don Olsen collection. Black and white from 1926 begins the movie film coverage. Much color is seen in the archive assortment. Modern footage was shot in HD. Various early black and white, plus color photographs. Clover Valley Lumber Company Mallet. 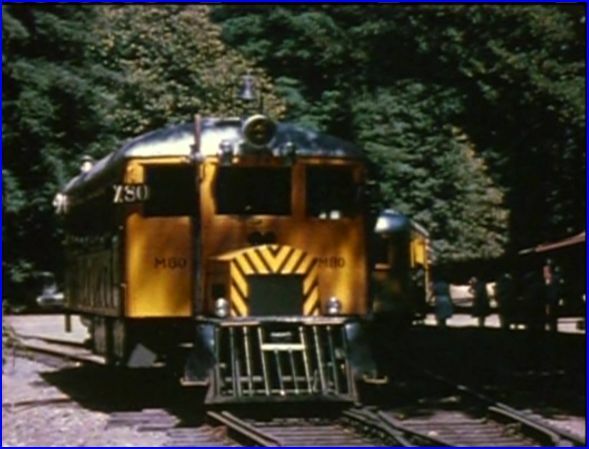 Archive film that captures a logging train. For a short program, we visit beyond Niles Canyon. The benefit is the sight of some equipment heritage. Narration by Warren Haack. He was raised in logging country and is an enthusiastic host. Warren has produced this release, with fine results. Dividing the show into chapters, we start with a look at the early history of the tracklaying period in 1869. The editing is smooth and sharp. No chapter menu or search function. A PBS style format is used for this release. Narrative, train sounds, live sound, photographs and brief commentaries, all enhance this high quality show. Custom maps are frequently referenced. Older SP/ WP and Niles Canyon current day. Western Pacific California Zephyr. 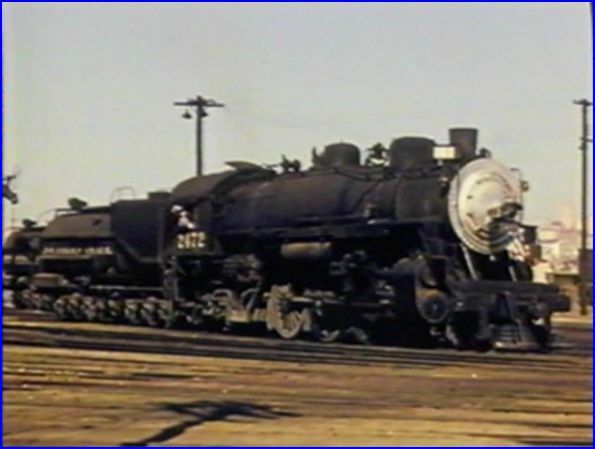 Multiple scenes with this famous train. Ride the train too. A few Cab Forwards on freights are seen, on the close proximity SP line. SP 2742 at Mission Bay. 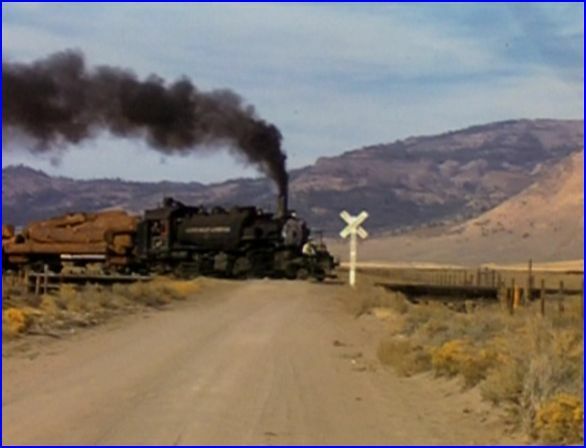 Southern Pacific 2742. Vintage and contemporary views, of this classic engine. California Western Skunk. These trolley/ interurbans are the diesel self-propelled type. Different color schemes and various models, are seen in the old films. 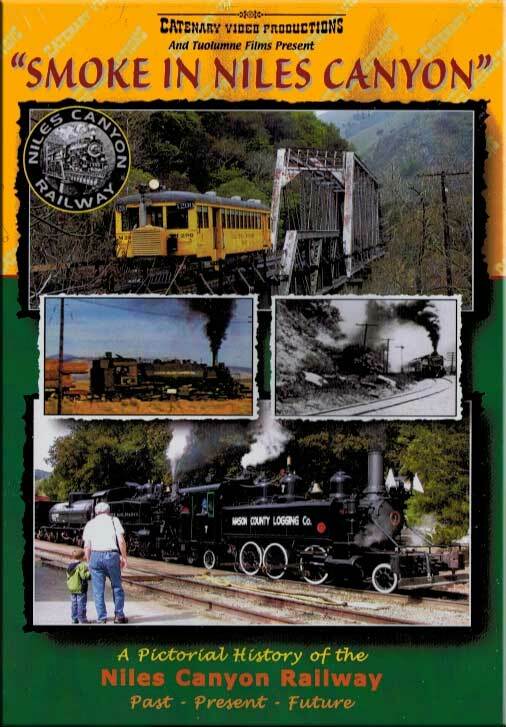 Modern Niles Canyon Railway is featured in the second half of this show. 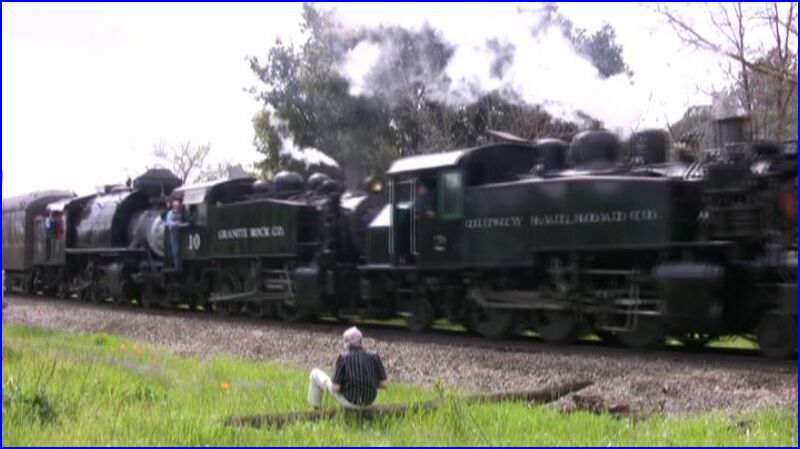 Four steamers were operating when this was filmed. Get a cab ride on this Robert Dollar Co. locomotive. 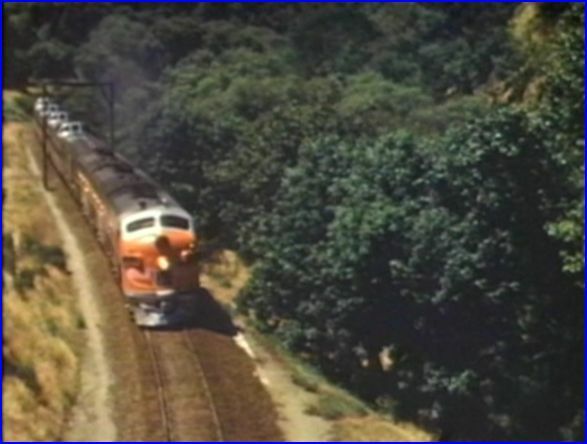 A photo freight special that swaps leading locos on this doubleheader. The saddle tankers appear almost narrow gauge. Until coupled to standard gauge cars! More background information on these engines would be desirable. The 35 minutes packs much, but is a shorter release. If the log trains catch your fancy, check other Catenary titles. 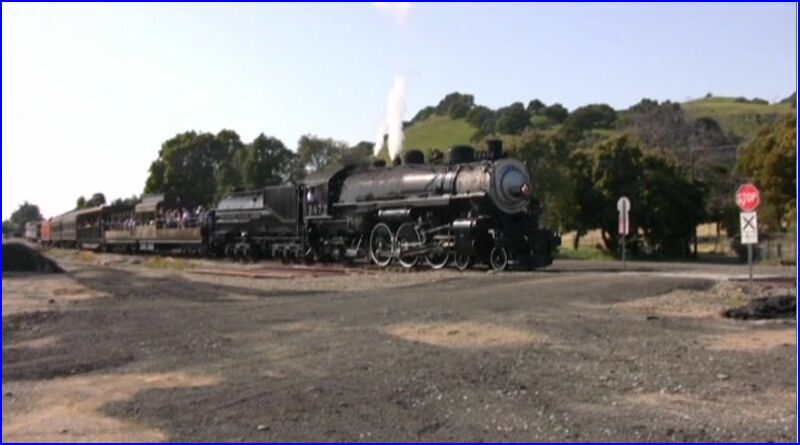 Smoke in Niles Canyon is an excellent show for the whole family to enjoy! There is plenty to keep railfans and model railroaders interested, as well. A nicely balanced presentation. 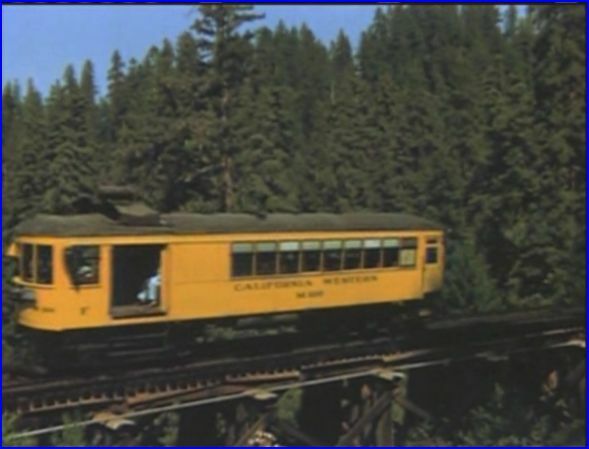 This entry was posted in Catenary Video, Steam Train Reviews and tagged American Train Video Reviews, California, Logging, PBS style, Railroad, Southern Pacific, steam train, Train DVD, train video reviews, transportation, trolley, Western Pacific by William J. Hudson. Bookmark the permalink.